Happy New Year, ladies, gentlemen, and others! 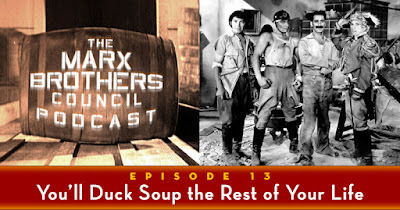 It's 2019 and we're back, ever on the cutting edge of tomorrow, discussing a comedy team who made their last film seventy years ago this year. This year, like the last several years, promises many thrills for those of us who love the Marx Brothers. To the pile of recent excellent Marx books, we can add Giraffes on Horseback Salad, a graphic novel from Josh Frank, Manuela Pertega, and Tim Heidecker, which explores the Salvador Dali Marx Brothers project that never was. For this episode of the podcast, Mr. Frank joins us for a wide-ranging conversation about the book, Dali's interest in the Marxes (especially Harpo), and the relationship between the Marxes and the surrealist art movement. Official description: "Author Josh Frank joins us to discuss his upcoming graphic novel, Giraffes on Horseback Salad, an adaptation of Salvador Dali’s 1937 proposed screenplay for the Marxes. 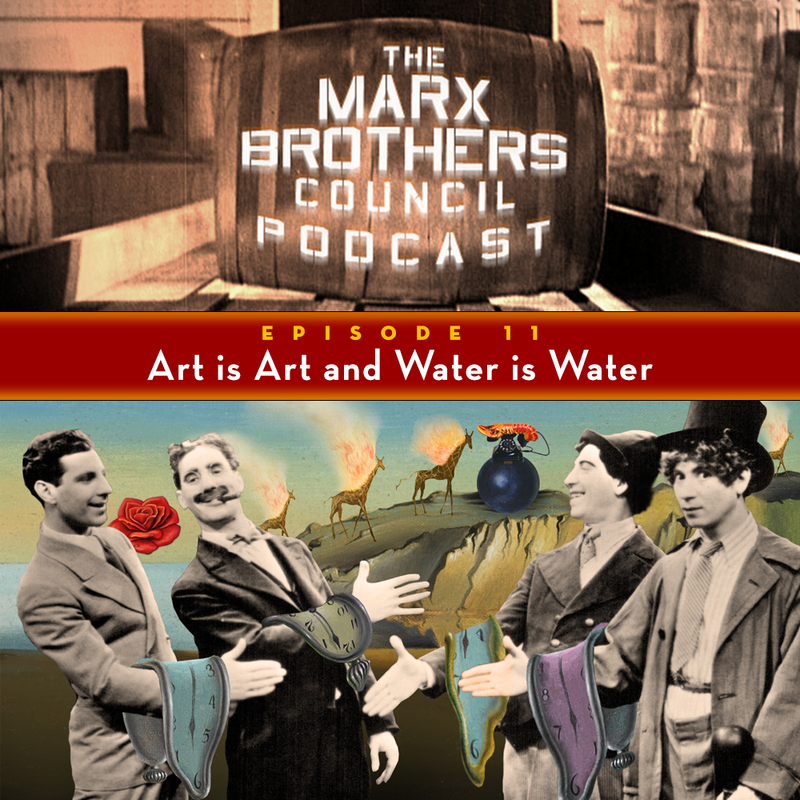 Later, we delve into surrealism and its relation to Marx Brothers humor, along with their appeal to the intellectuals of the day. Unfortunately, Roscoe W. Chandler was not able to join us, but is there in spirit." Download an MP3 directly to your computer. Stream the episode via Cast. Listen and subscribe via iTunes. Listen and subscribe via Google Play. Listen and subscribe via Stitcher. Listen and subscribe via Blubrry. Giraffes on Horseback Salad will be available in March, in hardcover and e-book editions, and you can pre-order it right now. Visit horsebacksaladbook.com and the Giraffes on Horseback Salad Facebook page for information about upcoming book events in multiple cities.